You don't need a list of reasons to shop with us but we believe our 5 customer promises set us apart from the rest. Not only is the quality of the product important, so is the quality of our service and reputation. We know being an online retailer it can be hard to offer the personal touch, therefore every time you visit, every phone call, every email and every order, we'll make sure your experience is as good as it gets. We aim to provide you with the most user-friendly online store possible, bringing you the latest tuning tools and techniques for your equipment, as well as clothing, accessories and protective wear for you. Combined with our totally free UK delivery so you can rest assured what you see is what you pay! We have selected a unique array of leading manufacturers and products so your holiday is remembered for all the right reasons. 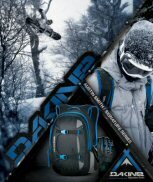 We know everyone is different which is why regardless of your level, discipline or budget you will find something to suit your needs from our constantly expanding range of ski and snowboard products. If there's something you want that we don't have, let us know and we'll do our best to get it for you! We know you want your new gear as fast as possible so we only use the fastest, most reliable couriers. Even our free UK delivery is sent first class so you'll never be waiting long for your order to arrive. If you need your order extra quick, you can choose next day or guaranteed Saturday delivery for total piece of mind.